The American footwear brand brings their women’s collection to the UK. The mercury has dropped and Christmas is very much on the horizon. 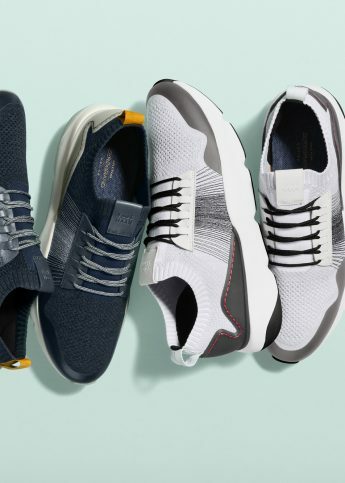 And whether you’re trying to get way ahead of your gifting schedule or you’re looking out for your own frozen toes, you’ll want to get acquainted with American-hailed footwear brand Cole Haan – especially with the news that their women’s collection is now dropping in the UK. Functional-meets-feminine, the result are shoes that are equal parts sturdy craftsmanship (‘cos comfort is key) and cool contemporary design. Look out for high-tech trainers and hiking boots, featuring shearling, metallic panelling and that winter-wonderful padding. Styles are available at John Lewis and colehaanstore.co.uk.